Clenz-a-dent Chlorhexidine Rinse is a palatable, fresh antimicrobial formula for reducing plaque and freshening breath in dogs and cats. Contains antimicrobial, anti-plaque and anti-calculus properties to aid in tooth and gum disease prevention. Oral Dental Rinse containing Chlorhexidine 0.13% with Zinc. Alcohol-free. Clenz-a-dent Chlorhexidine Rinse is a palatable, fresh antimicrobial formula for reducing plaque and freshening breath in dogs and cats. Directions for Use:Shake well before each use. 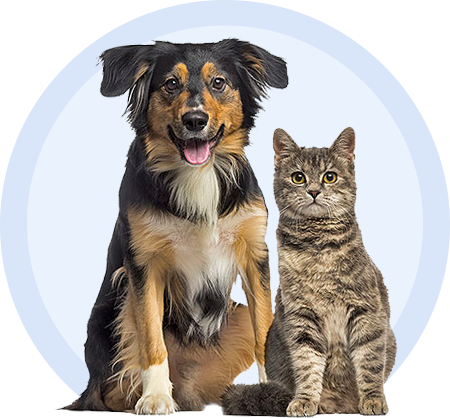 rinse daily following each meal or as directed by your pet's veterinarian. Hold bottle upright, below your pet's field of vision. Gently lift the upper lip to expose the teeth and gums. Point and squeeze to apply a gentle stream along the gum line. Chlorhexidine Rinse disperses rapidly and completely covers the entire oral cavity, even hard to reach areas. Avoid touching the gum with the applicator tip to avoid injury in case your pet moves. Precautions for Use:Keep out of reach of children. Avoid contact with eyes. Ingredients:Sorbitol, Chlorhexidine Gluconate, Zinc Acetate, Cetylpyridinium Chloride, Flavor. Presentation:8 oz. bottle Manufactured by Sogeval.